Come out and enjoy a day of music as ensembles from across the region perform at Mt. San Antonio College. 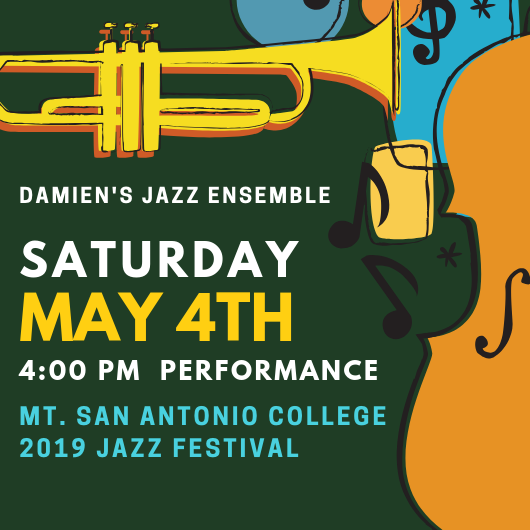 Damien will perform at 4:00 p.m. in the Recital Hall. Please visit https://www.mtsacjazz.com/jazz-festival.html for a complete performance line up and links to Mt. SAC's campus map, and more!